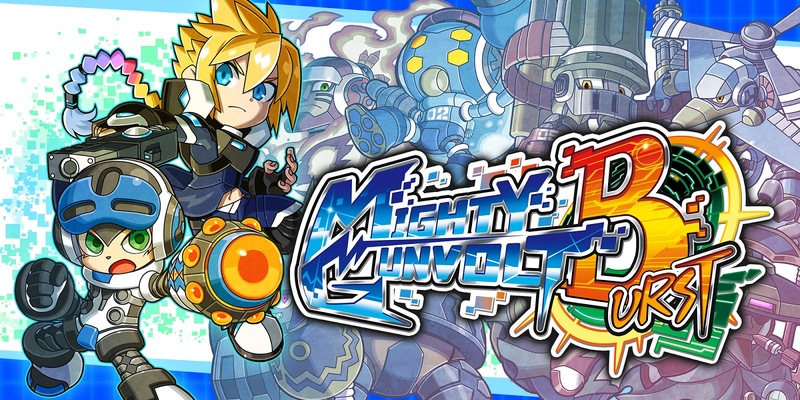 Today, Nintendo 3DS owners can get their mitts on Mighty Gunvolt Burst. The game will run you a cool $9.99. The 3DS versions is, from my understanding, exactly the same as the Switch version with no compromises. You can check out some gameplay here. I absolutely adored Burst on Nintendo Switch –– so much so I may even pick it up twice! Be sure to check out my review if you're on the fence. I'm still hesitating -- but not for the old "Oh, anything Comcept touches is crap" excuse. No, rather, I'm waiting for undeniable conformation that the 3DS version is exactly the same as the Switch version, though at a lower resolution (I assume). I got burned with Super Smash Bros. and, admittedly, burned myself buying Super Mario Maker on the 3DS, so I'd rather not have that happen, again. Yeah, you read right. Undeniable conformation. yeah pretty much the same even graphic wise personally looks the same but that is just me probably. I prefer on the handheld since button mashing has become easier for me on the 3ds then the switch. Good enough for me! Heh heh heh. Thanks, Francisco! So I guess that the touch screen is being neglected. I knew I shouldn't expect much. Now it's the Switch version who has the upper hand with the dowsing HD rumble on top of higher fps and resolution. So it's NOT at all comparable. Still I shouldn't be too angry. THe game's there, so I should take it for what it is. He can. You have to find the upgrade chip first... then you can adjust how many times you can dash! Where is that chip, exactly? I've beaten the game with both characters, blasted down just about every crackable wall there was that had hidden items behind it, and I have yet to find that dash chip anywhere. I think I found it in Avi's stage, Krazy Monkey. Before you select a stage you can see what all parts you're missing in it by selecting Y. So... yeah. Huge fan. Even if the 3DS version isn't exactly like the Switch version, it runs at 60 FPS, plays smoothly, there's no slowdown, and it's just a heck of a lot of fun to play. It definitely plays more like a Mega Man game than Mighty No. 9 (as Beck, I mean) but whether that's good or not is debatable, I suppose? I just know I'm having tons of fun. And I'm only five stages in! I find it rather amusingly ironic that Beck performs much better in games outside his own.